Available in e-book and print format. In August 1991, I spent the better part of a week scrambling through brush and brambles near San Antonio, TX as part of an unsuccessful community search for a missing 11yr old girl who had been abducted while walking home from a friend’s house after a sleep-over. 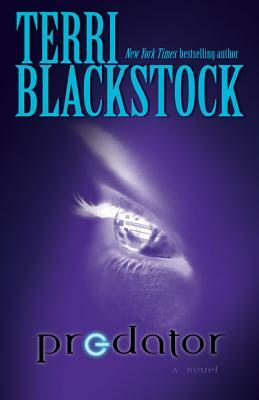 The memory of those sad days had retreated to the bottom of my brain, and stayed there until I opened Terri Blackstock’s Predator and read the first chapter. Predator begins with a community searching for a missing 14yr old girl in the Houston, TX area. Ella Carmichael had been abducted while riding her bike to the corner store. Her killer had known exactly where to find her because she posted all the minutiae of her life on a social networking site similar to Facebook. Terri does her usual masterful job of blending fact and fiction, faith and doubt, into a gripping story. The genre is Christian Suspense, but her well-written prose should appeal to any reader with an open mind. Terri’s Christian characters do not use their faith as a weapon, forcing their beliefs on any who come near. It's just part of who they are, like their hair color or their gender. Not all of her characters are Christian, but those who are struggle with their faith, asking hard questions that don’t always have easy answers. I’ve been reading Terri’s books since the mid-1990s, and that’s always been true for her characters. It’s true for me, too, and is one of the reasons I keep reading her books. I make that point because I want everyone I know to read Predator, regardless of their religious beliefs. We live in a wired world, where everyone has a Facebook, Twitter, or Google + account, if not all three, and whatever other new social networking option is out there. Some people, including some of my friends, think nothing of broadcasting their entire life online via these same social networking options, making sure they tell the world when they go on vacation and how long their house will be empty. Like it or not, accept it or not, we live in a world with predators, and whether they’re after our belongings or our identities, the more information we post on social networking sites, the easier we make it for them. In Predator, the perp doesn’t care about belongings or identities – he wanted young girls, and stalked them via the “thought bubbles” they posted telling their friends their activities. As I said, it’s a gripping story. There were times I wanted to grab the main character and shake some sense into her, but that’s because Terri made her so real to life. I had a couple minor quibbles that leave me wanting to double-check some facts regarding gun laws in New York state, and the capacities of certain guns. But had I not been a gun-owner, I likely wouldn’t even have noticed. I have similar quibbles when I watch some cop shows on TV. Overall, Predator is a well-rounded book whose characters deal with a pain so deep it threatens their faith, and challenges their perception of themselves and others they know. Anyone who has ever been honest with himself or herself should be able to relate to it. I know I did, and found myself double-checking my social network privacy settings when I finished reading it. I hope you do, as well.